J Bar B Foods was founded by Billie Mae and Felix Janecka. Its roots began in a small independent grocery store located in Cistern, Texas. After Hurricane Carla destroyed their small family farm, they began to make their famous “Czech” sausage fulltime in Waelder, Texas. After growing up in the business, processing pork, stuffing sausage, and spending countless days and nights in the smokehouses, Danny Janecka assumed the responsibility of the company. Under his guidance, the company grew its artisan sausage capacity and developed the nation’s first “QX” co-extrusion manufacturing facility. J Bar B Foods continues to diversify its product offers with fully cooked meals, and its new “EB1” co-extrusion system. J Bar B Foods was featured in Meat Marketing & Technology (MMT) for implementing new technology in their production process. Townsend Engineering’s “QX” co-extrusion technology offers many benefits for running a successful plant. J Bar B Foods was featured in The National Provisioner for the vast variety of items that are produced at both, Waelder and Weimar, locations. Being able to produce a multitude of formulas and turn them into over hundreds of items daily helps streamline the production process, allowing us to produce up to two million pounds in six days. 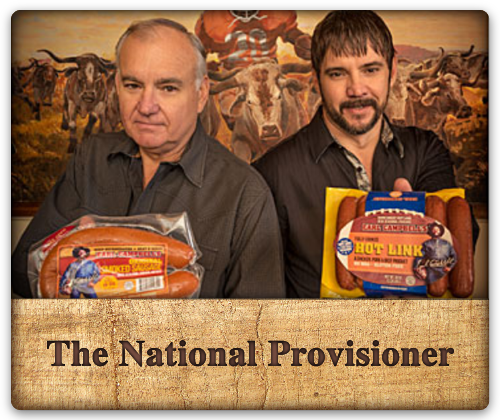 J Bar B Foods is focused on becoming the nation’s leading manufacturer and creator of high value and innovative sausage products, as well as, many other specialty foods.